Hi there! 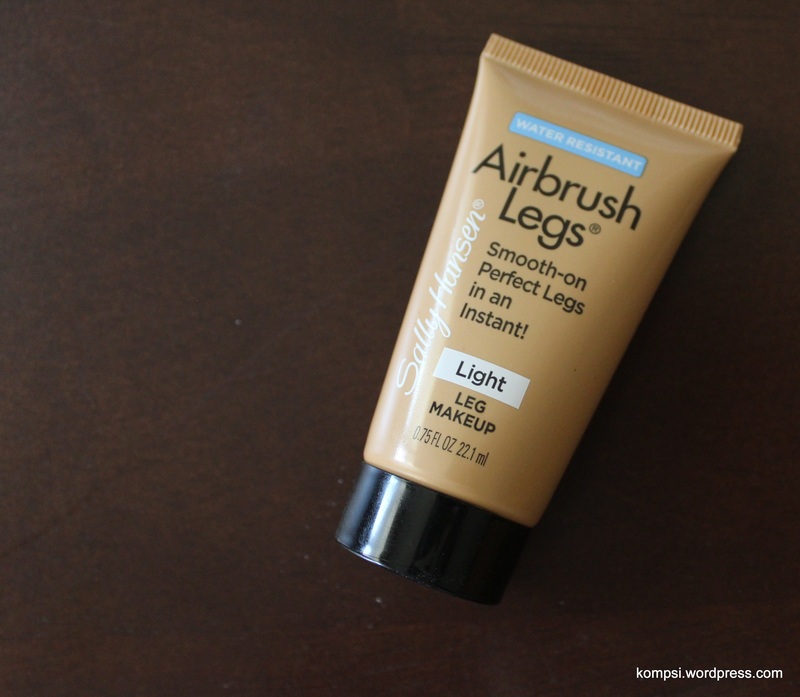 This week, I’ve got a review of Sally Hansen Airbrush Legs lotion. This is a gratis item I received specifically to review from Influenster (my referral link if you would like to join and receive free stuff to review!) and I am receiving no compensation for this and all opinions are my own. Ok! Now that we have the disclaimer stuff out of the way, let’s get to the good stuff. This is not a self-tanner! 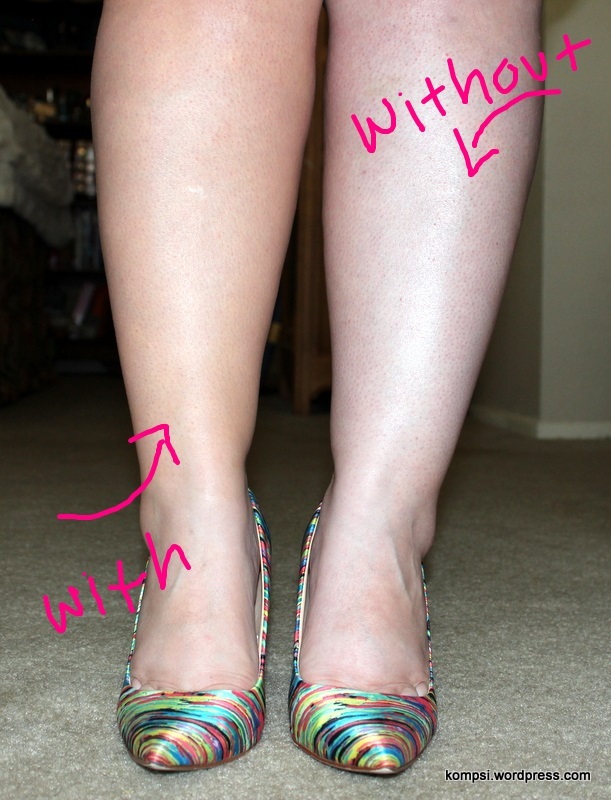 Airbrush Legs is actually a tinted lotion “leg makeup” that claims to cover freckles, veins and imperfections and it won’t rub off on clothes. It is also lightweight, long-wearing and water-resistant. Wearing Airbrush Legs on the left, no product on the right. I actually really like this so far! I’ve used self-tanners in the past but not in several years because they just take too much pre-planning to use. You have to do it the night or day before, it could go on streaky and then you’ve got to wait for it to fade and so on. Airbrush Legs on the other hand, it just a tinted lotion. It looks way too orange when I first squeezed it out, but after rubbing it in it looks great. I was sent the Light shade and I think it is just perfect for me. My legs tend to be the whitest part of me and they won’t tan at all. Airbrush Legs gives them just enough color to look natural. Another aspect I like about this product is that it is mostly unscented, so no weird self-tanner smell. 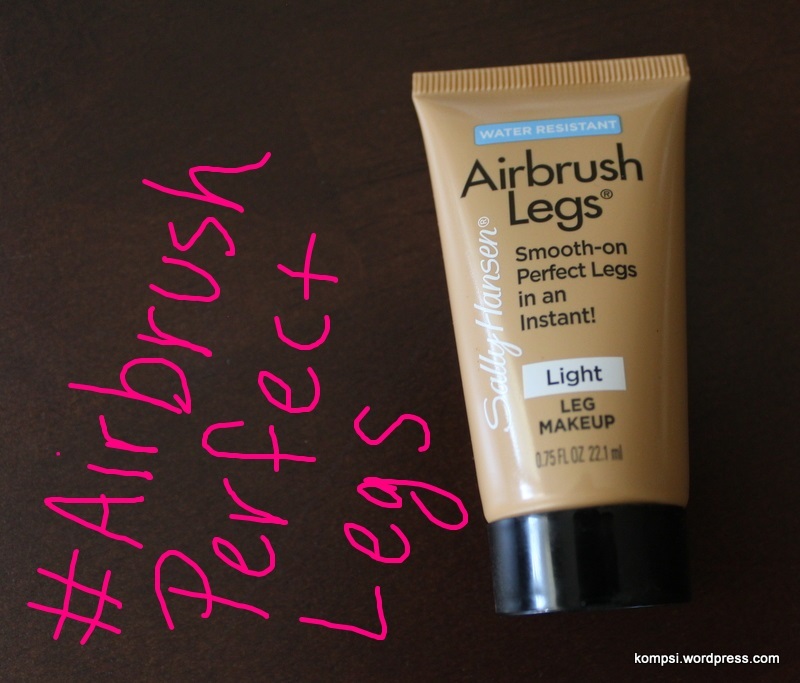 If you try Airbrush Legs, use the hashtag #AirbrushPerfectLegs! Exfoliate and moisturize!!! So important, this will prep you legs and will prevent the product from gathering on dry patches and make a smooth application. I use a sugar scrub on my legs in the shower (before I shave) and follow up with Neutrogena’s Body Oil. Since the lotion is tinted, it’s easy to see where you’ve applied and prevent streaks. Keep it light on your knees and around the ankles so they don’t end up too dark. Wash your hands with soap and water immediately after. This sets pretty quickly and doesn’t budge afterward until you remove with soap and water. 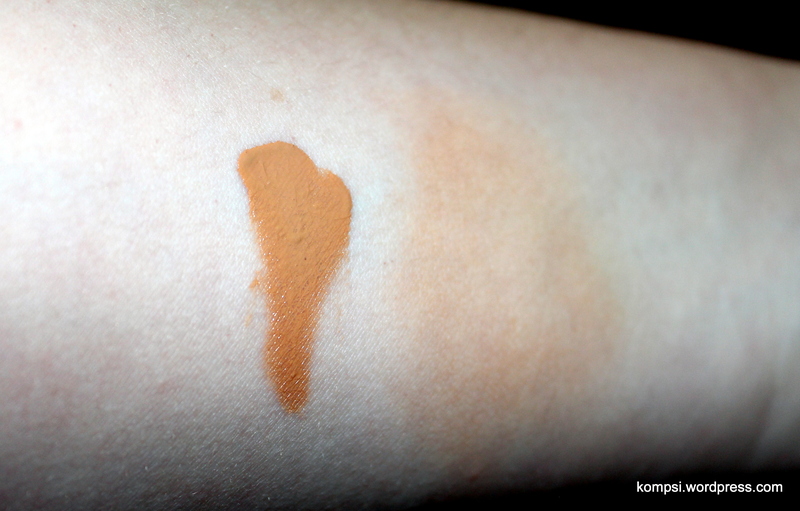 Swatch on left and blended on right. Airbrush Legs comes in a aerosol spray as well, which I would like to try next as it like it would be pretty cool. So far, as I’ve been wearing this it hasn’t rubbed off on anything but I have yet to check the water-resistantness. It seems like it would hold up as long as you don’t scrub your legs. Sally Hansen Airbrush Legs are available in five shades to fit your skintone and should be available to purchase at Walmart, Target, CVS, K-Mart, Walgreens and Ulta.